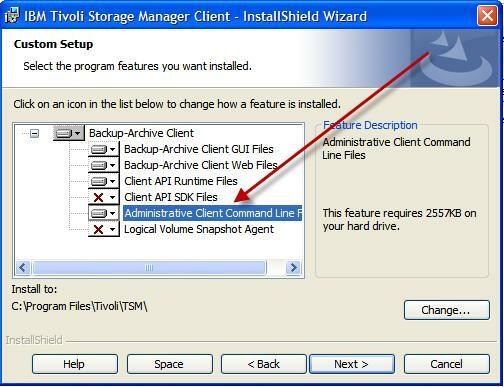 In this article I will show three ways that you can verify that your Backups were successful using TSM Studio. TSM uses a hierarchy of Storage Pools to “migrate” or move data from one type of storage to another or to the same type of storage. There are a couple of parameters that need to be setup to facilitate migration. The first is to setup the “Next Storage Pool” parameter, this defines which pool the data will “migrate” to from the current pool. TSM writes data to the current pool, the current pool hits the High Migration Threshold and will start “migrating” data to the storage pool defined in the “Next Storage Pool” field. Ideally you will want enough disk space in your Primary Disk pool to store the nightly backups and while the nightly backups are running you will keep the high migration value somewhere around the 80 mark and low migration value somewhere around the 60 mark just so you don’t run out of space in the Primary Disk Pool. 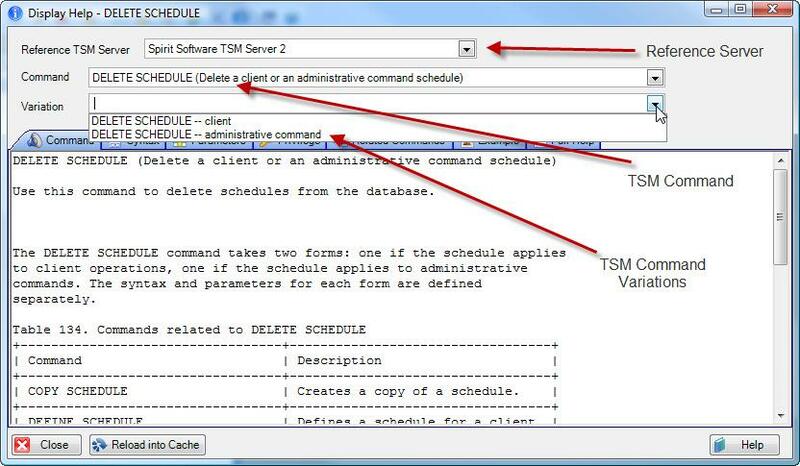 During this time you can be running other TSM admin tasks such as reclamation. 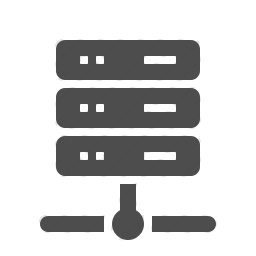 In the morning when your backups have finished or close to finishing you can change the High Migration to 5 and Low Migration to 0, this will then force all the data from the Primary Disk Pool ( Usually to Tape ). This is not the only way this can be done and you may have reasons to run things differently and if you have a VTL you may wish to run with low values continuously. Another Parameter related to Migration is the Migration Processes parameter, this defines how many processes will be used to Migrate the Data to the Next Storage Pool. When moving from the Primary Disk data to a Primary Sequential Pool (In most cases this is usually a tape pool) each process will use one tape drive. 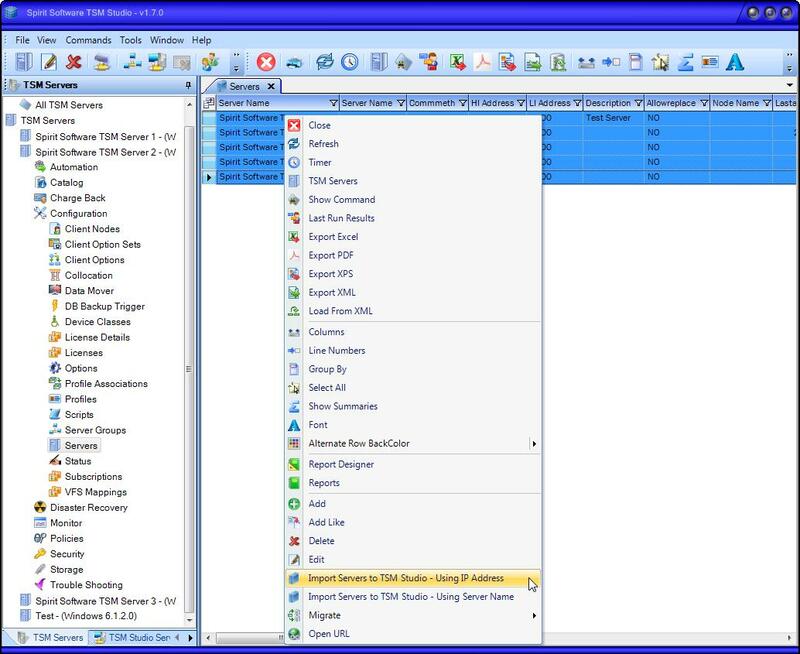 From TSM Studio, Select the Storage Pool, Right Click and choose Migration Processes. This error is being caused because the admin cli “dsmadmc.exe” cannot find its message file. Firstly check that dscenu.txt exists, it should be in the c:\program files\tivoli\tsm\baclient directory ( if you installed the tsm client in the default location ). If it does exists try adding the following environment variable. This error is caused by duplicate keys in the TSM Studio configuration file. In our own testing labs we have re-created this issue by starting more than 1 copy of TSM Studio at the same time. There is no issue running multiple issues of TSM Studio simultaneously but we suggest waiting until TSM Studio is fully activated before opening another copy. All new Tapes being put into a Physical Tape Libraries will require a barcode on them. In most cases the vendor that supplied the tapes should also supple the barcode label. 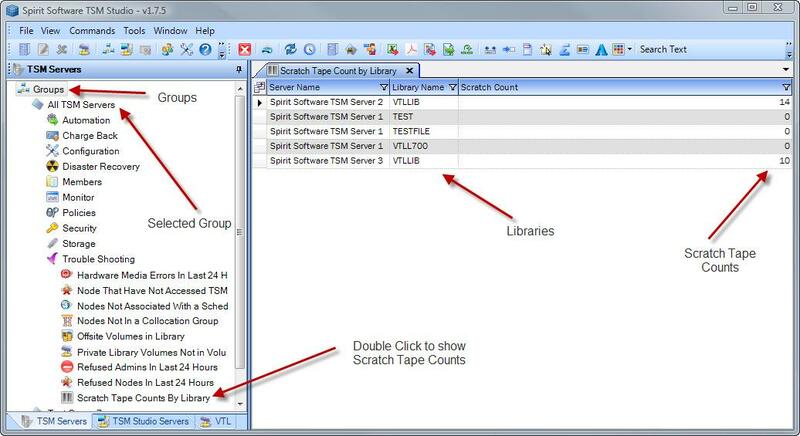 TSM requires that the first time you put a new tape into the library you run the LABEL command.The LABEL command instruct’s TSM to write an Internal Label at the start of the Tape and this internal label will match the external barcode label. If you change the date on the underlying Operating System that your TSM Server is running on you will need to run the ACCEPT DATE command. If TSM is up when the date change occurs then you can login to the TSM Server using the Admin CLI or TSM Studio ( example at the end of this article) and run the ACCEPT DATE command. TSM Server Error: Server: SERVER_NAME ANR0110E An unexpected system date has been detected; the server is disabled. 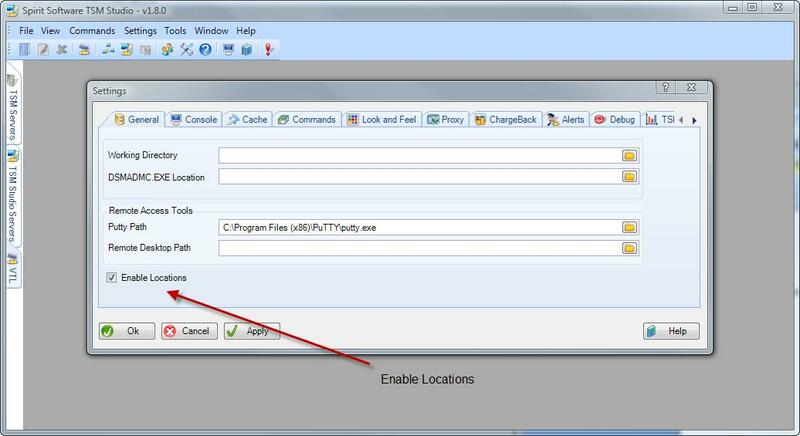 Verify the system date and use the ACCEPT DATE command to establish the current date as valid. If you are unable to access the server from the ADMIN CLI then go to the command prompt or unix shell, change to the directory where dsmserv.exe (just dsmserv on unix) is installed and run it. When you see the above message enter ACCEPT DATE and once the new date has been accepted run the HALT command to stop TSM and start the TSM Server in the normal way for that Operating System. If someone has accidentally changed the Operating System date to a future date and the expiration process runs then a lot of data could be lost. It is possible to impersonate a client node on a different node and there are 2 ways to do this. The first option is to just change the nodename to match the impersonated name, this requires that you know the password of the nodename to be impersonated. Alternatively you can use the ASNodeName option. This requires specifying the ASNodeName option either in the dsm.opt file or using the Backup-Archive client and also granting access on the TSM Server to impersonate this Node Name. Now grant the Node Test1 access to impersonate Test2 on the TSM Server. What are the Activity Log, Events and Summary Table. When using VTL’s with De-Duplication, the Virtual Tape Library Engine and DeDupe Engine are separate subsystems ( either within the same System or in different Systems ). In these cases the VTL Engine is just a transient area for your data before it is deduplicated and is moved to the storage managed by the DeDupe Engine. Over time TSM will expire old data, reclaim tapes and tapes will move back to the scratch pool. The problem is that the VTL and DeDupe engine do not know that these tapes have become scratch tapes and so will not remove the expired data. The only way that the VTL and DeDupe systems know that a virtual tape has become a scratch tape is when TSM starts writing on that virtual tape from the beginning again. To overcome this problem the RELABELSCRATCH parameter was introduced. 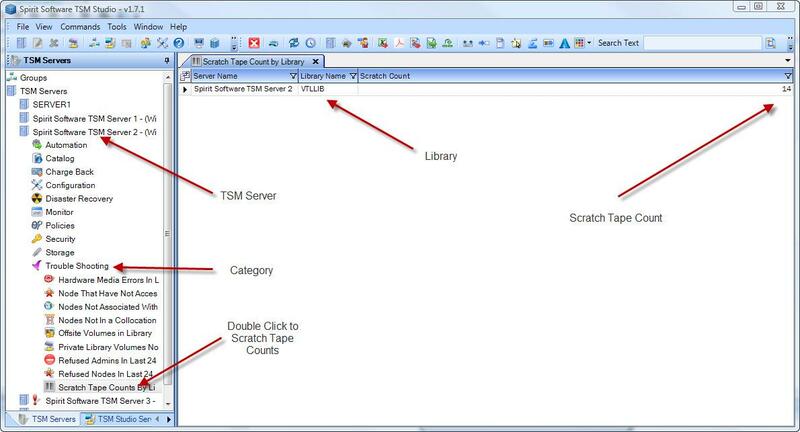 This will tell TSM that it should rewrite the internal TSM label on the virtual tape when it becomes a scratch tape. This will let the VTL and DeDupe engine know that the data on that tape can be removed from the VTL and DeDupe Engines. 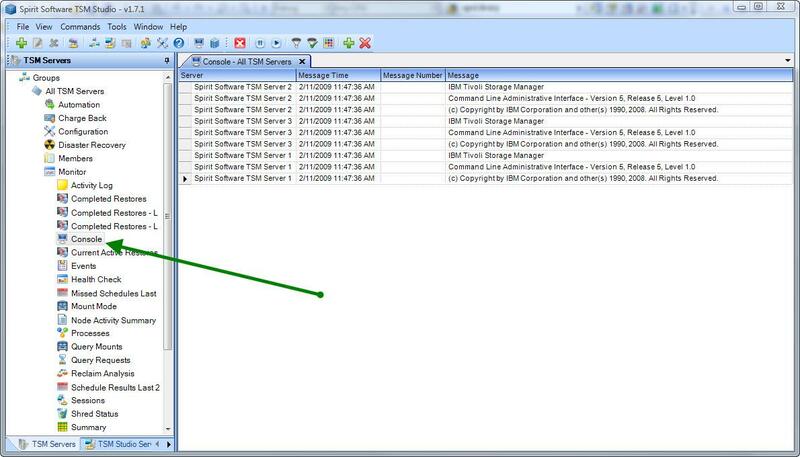 Some commands when entered in TSM particular those that involve moving Tapes in and out of the IO Slot will require a response from the TSM Operator. You may come across an error if the paths are not correctly set up. If you see the following message when starting the administrative cli program or when testing a TSM Server connection in TSM Studio, follow the suggested action below. This error is a result of the administrative cli program, “dsmadmc.exe”, unable to find the message file. To start, you can check if the dscenu.txt file exists in the c:program filestivolitsmbaclient directory ( assuming, you installed the TSM client in the default location ). Reclamation is the process of reclaiming unused space on a tape (applies to Virtual Tapes as well). Over time the TSM expiration process will expire old data, creating gaps of unused storage on the tapes. Because Tapes are sequential media, TSM can only write data to the end of the tape, so these gaps of “Empty Space” cannot be used. TSM refers to this space ‘*’ as Reclaimable Space. TSM can only write to the end of the tape and the Reclaimable Space cannot be reused until all the data on the tapes expires and the tape becomes a scratch tape again. QUERY VOLUME volno F=D (where volno is the Volume Number for the Tape ) and look at the Pct Reclaimable Space field. This eliminates all the reclaimable space and the old tape becomes a scratch tape. NOTE: For tapes with a value of READWRITE or READONLY in the ACCESS column. TSM will run the reclamation on them when they are FULL, if they are FILLING they will not be touched. Tapes in an OFFSITE status in a copy pool will be reclaimed whether or not they are FILLING or FULL. 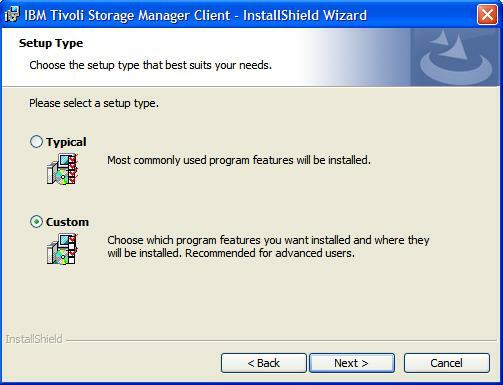 On TSM Studio right click on the Storage Pool and select Reclamation Threshold and either choose one of the values or use the SET option to choose another value. Collocation is the process of grouping your nodes together (collocating) to help improve restore performance. Over time as you add more and more nodes to your environment, the data for these nodes will slowly become more and more dispersed across your tapes as you perform backups. When restoring the data if only a small number of files are required, this will not be a problem but when a restore is needed for a large number of files and those files have become dispersed across a large number of tapes then restores time will become an issue. I have personally experienced an issue when restoring a large volume that took over 2 days when not using collocation. Instead of having every node’s data being placed on tapes at TSM’s discretion, collocation allows you to define groups of nodes to be stored together on your tapes. As with everything there is a trade-off, collocation groups will require the use of more tapes but can significantly improve restore times. Badly configured collocation will cause the consumption of very large amount of tapes. And in my experience this has been the number one cause of the “Where have my all my scratch tapes gone” and “Why do I have so many filling tapes” , we will explore this later in the document. Collocation is set at the Storage Pool so it is possible to have different levels of collocation based on Storage Pools. As Collocation is really designed to help with Physical Tapes it only applies to Primary Sequential and Copy Storage Pools. 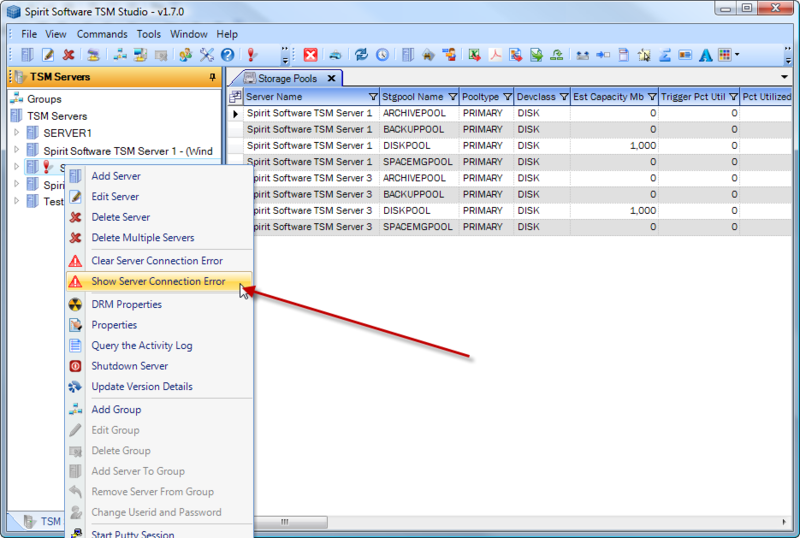 GROUP – TSM will put groups of Nodes on their own tapes as defined in the collocation groups. If no collocation groups are defined then the storage pool reverts to Node Collocation. Recommendations: If you have plenty of tapes and will never run out then use FILESPACE or NODE. Otherwise you will need to find a happy medium between tape usage and restore times using the Group method. I have seen a number of different methods for collocating node, such as grouping by application type or OS Type. I suggest putting nodes with small amounts of data that does not change very often together and putting nodes with large amounts of data by themselves. For the rest of the nodes try and keep each group from using more that 50 tapes for any node in the group ( this number will depend on the number of drives you have, how fast the library can load the tapes and how fast the drive can move to the required location on the tape) to ensure fast restore times. NOTE: Virtual Tape Libraries do not have the same limitations as Physical Tapes. As the mount times and seek times are negligible collocation can be disabled without affecting restore times. The reuse delay parameter is used to define how long a tape will stay in a pending state. It is specified in days and can be applied individually to primary sequential and copy storage pools (in other words storage pools that handle tapes). Why do we need this parameter? This parameter is used to ensure that if you had to restore your TSM Database to a previous days backup that the tapes will be in a consistent state with the TSM Database as at the point of the restore. To Illustrate this, assume that the reuse delay parameter is set to 0 so that tapes become scratch tapes as soon as they are empty. 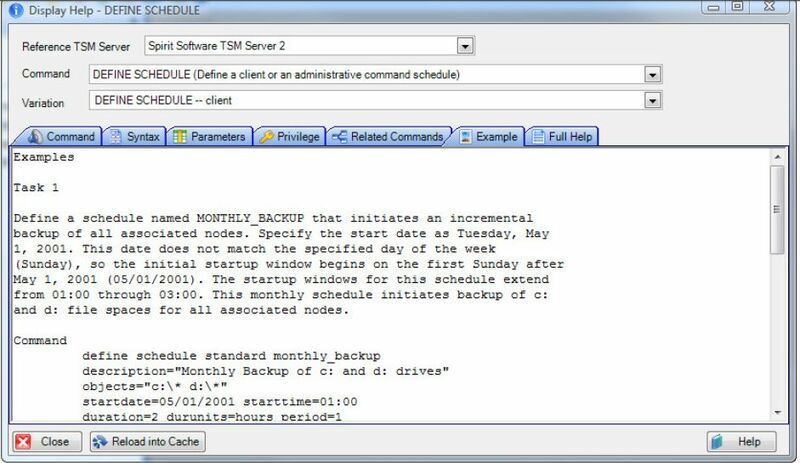 For some reason, you have to restore to the last TSM database backup which was taken on the Monday. Because the database is now running as at Monday TSM believes that tape A1 holds the data for Node ZZ. A decision is made to restore data for Node ZZ which resides on A1 and TSM complains that the volume is corrupt because the data on the tape is not what TSM is expecting. In this case if the reuse delay parameter had been set to 2 days then tape A1 would not have been written on and the restore would work as expected. How do I check for the tape status ? Tapes that are empty but not yet available to be used as scratch tapes have a status of PENDING. 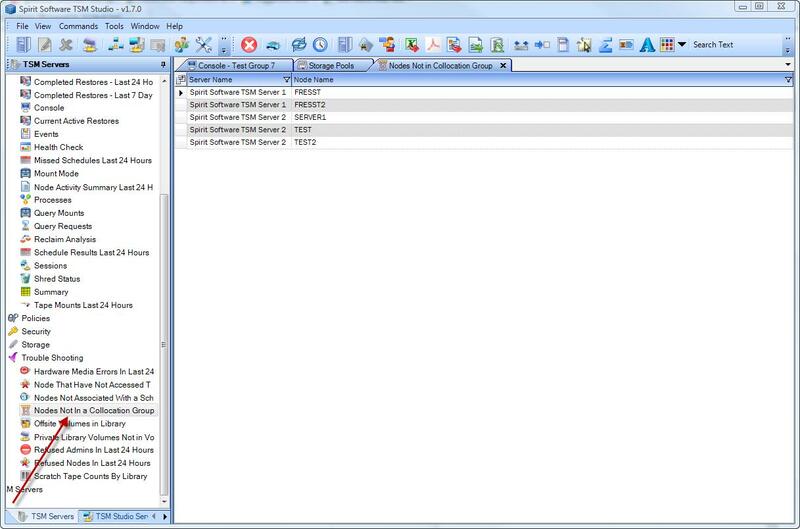 To view pending tapes in TSM Studio open the Libraries and Volumes category and double click on the Volumes Dataview. As seen below check the “Status” column and look for tapes in a ‘PENDING” state. To see when these tapes will become scratch tapes, check the Pending Date. This is the date that the tape went into a pending state. Add the Reuse Delay value to determine when the tape will go from a Pending State to becoming a scratch tape. How do I set the value for this parameter ? I recommend that you set the value of this parameter to be equal with the number of days or TSM Database backups you keep. The Mount Retention parameter specifies how long to keep a tape in a tape drive after it has finished being used. By default the value of this parameter is set to 60 minutes. So a tape will stay in the drive for 1 hour after it is finished with. Why? The main reason for having this parameter high is that a tape mount is a relatively expensive operation in that is can take some time for a tape library to unmount and mount a tape, so if the same tape is likely to be used again in the near future it will not need to re-mounted if it is already in the tape drive thus saving time either for backup or restore tasks. If you have a shared library environment or do not have a lot of drives then I recommend you bring this value right down to around 5 mins ( or even 1 minute if tape drive contention is a big issue ). With Virtual Tape Libraries tape mounts operations are extremely fast and high mount retention values are actually detrimental to the performance of the system. In this case the mount retention parameter should be set to 1 minute. The mount retention parameter is defined in a device class. Device Classes are defined per Tape Library and each device class affects all the drives in the library it is defined with. All the articles that I have written are from my own personal experiences using TSM for the past 15+ years. 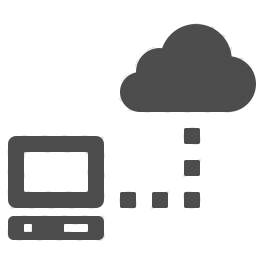 TSM is a diverse product that can be setup and deployed in many ways. Before using any of the methods in the articles, ensure that you use due diligence to test that all steps will work as described in your environment. 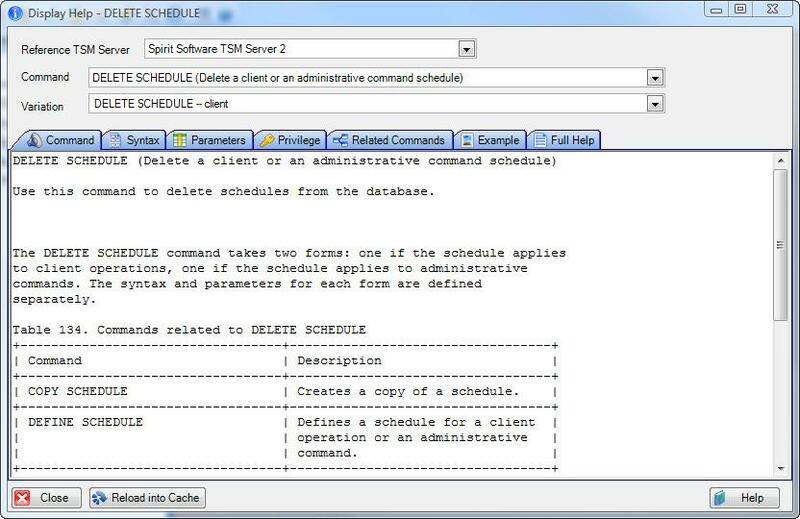 Any TSM command can be run as an administrative schedule and the TSM Scheduler whilst not being an advanced scheduler does provide a lot of flexibility of when a task can start. 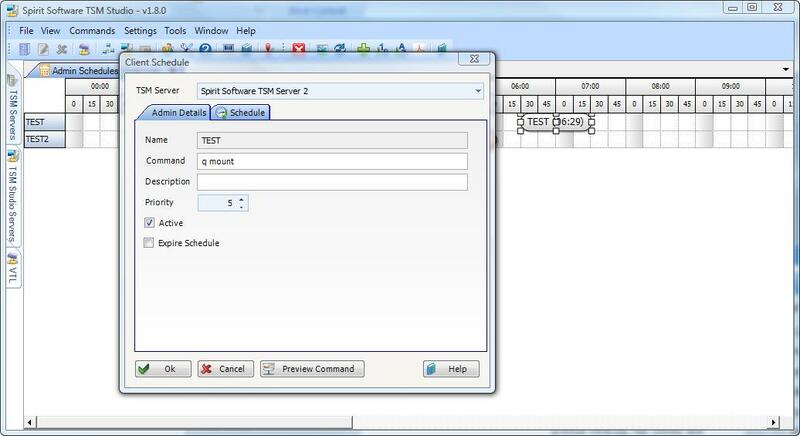 From TSM Studio go to the Automation Category and open the Admin Schedule’s Dataview. The Enhanced Style option gives more advanced scheduling options such as running on a particular day of the month, week of the month. We will cover the Enhanced Style in another article. Time specify the window that TSM will use to start the schedule. DURUNITS can be MINUTES, HOURS, DAYS. Our settings here tell TSM that is must start this schedule within 20 minutes of the Start Time. There is a special case in that you can set the DURUNITS=INDEFINITE which tell TSM that is can start the schedule any time after the Start Time. PERIOD and PERUNITS – These two parameters tell TSM how often to run the schedule so in this example it is once every day. There is a special value for PERUNITS, PERUNITS=ONETIME which instructs TSM to only run this schedule once. DAYOFWEEK=ANY – This parameter tells TSM what day of the week to run this schedule on. Other possible values are WEEKDAY, WEEKEND, Monday, Tuesday, etc. Auditing a Tape Library is the process in which TSM verifies the information it has stored internally about the tapes, their labels and where they are located in the library (slot numbers) with the Physical Tape Library. Why do you need to audit your library? From time to time your Library will have maintenance performed on it, Tape Library Arms get jammed, tapes get stuck in drives and need to be manually moved back to their slot and tapes can be manually inserted in Tape Libraries. When problems or tasks like these described happen in your tape library it is good practice to run the Audit Library command. 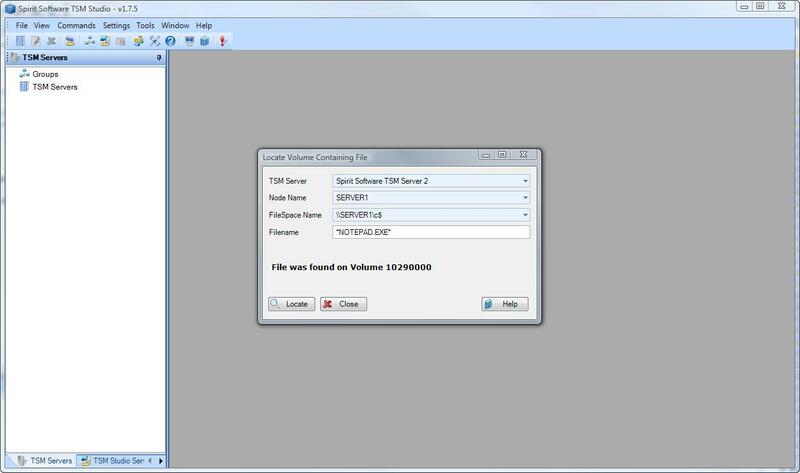 The Audit Library Command can verify the tapes in the Library in one of two ways. 1.By Barcode, this option verifies the barcode information and slot position and runs quickly as the Tape Library already has this information stored in its internal memory. 2.By Internal Label, every tape that TSM uses has an internal label that has been written to the start of the tape by TSM when running the label command when the tape was initially placed into the Library. Using this method causes TSM to mount every tape into a drive and verify its label. As every tape is physically mounted and read this option can be time consuming. In a physical library it is extremely rare for the barcode label and the internal label to not match, but it can happen, so if you have the time then I would recommend using option 2, but if you don’t have a big window for your tape library to be out of action then use option 1. If you are using a Virtual Tape Libraries and have the Relabel option set then I strongly advise running option 2 from time to time on your virtual library. As noted in the article on collocation. The main problems you will come across with collocation is running out of scratch tapes andor a large number of tapes in a filling status. The main cause of this is having a storage pool with a collocation method of Group and then having no collocation groups or nodes not in collocation groups. Using TSM Studio go to the Trouble Shooting category and open the Nodes not in Collocation Group dataview. After putting all your nodes in a group, You will now need to move the data off the current tapes so that TSM can collocate the nodes and their data. 1. 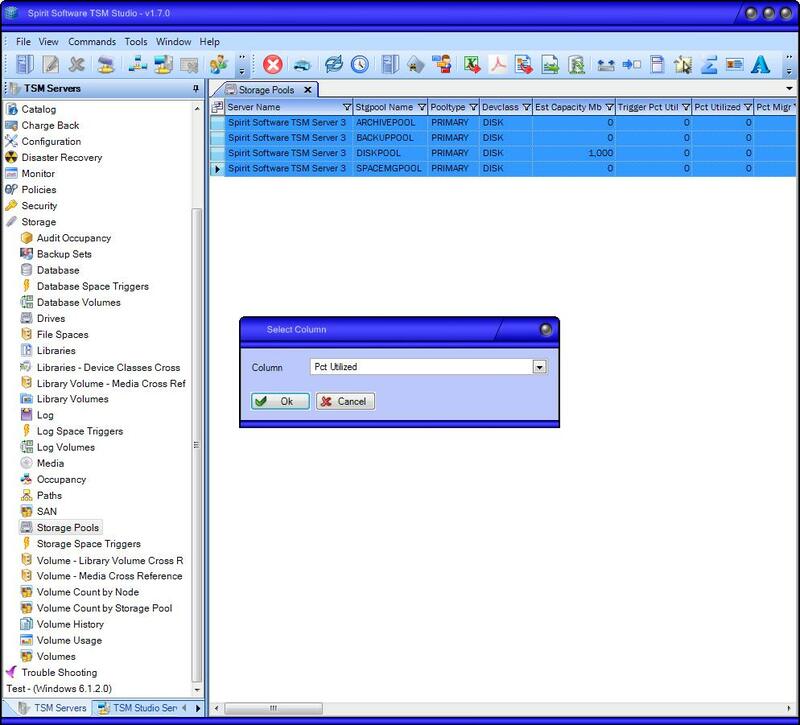 To do this use the Move Data command on each tape and move the data back to the primary disk pool so that the migration process can move the data back to tape using the collocation you specified. 2. 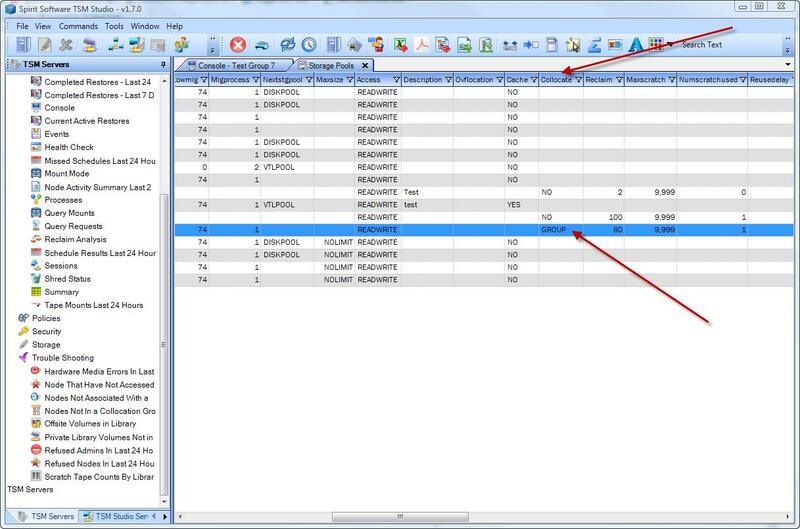 Or use the Move Data command to move the data to the same storage pool as the tape is already in, TSM will then move the data from the selected tape and collocate the data with nodes from the same group on other tapes. 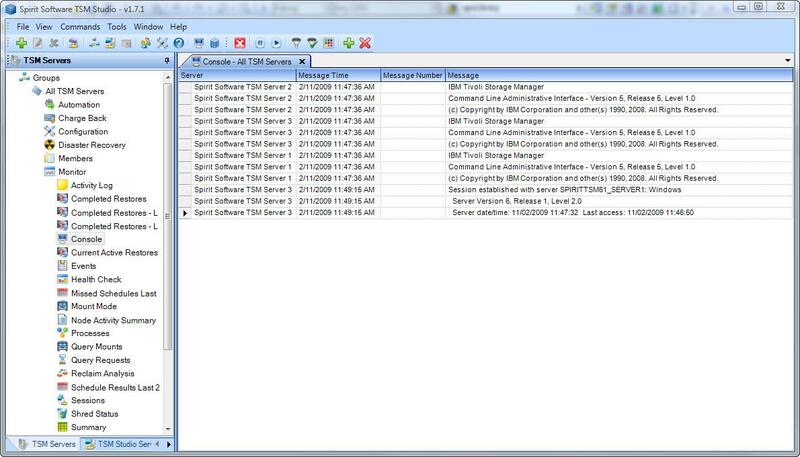 The Node (Backup, Restore, Archive and Retrieve ) Statistics dataviews in TSM Studio source their data from the TSM Server Activity Log. 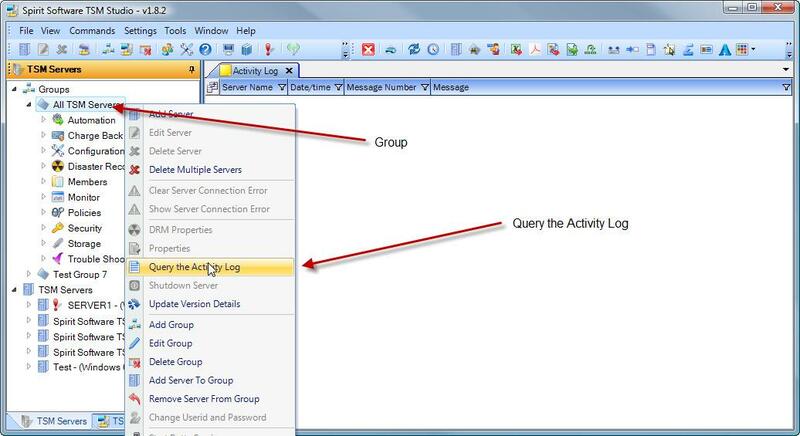 The format of the numbers in the Activity Log is dependent on the regional and TSM Client settings on the Client Node so it is possible that there may a number of different number formats stored in the Activity Log. This does cause issues for TSM Studio when trying to determine which number system is being used and converting to numbers. 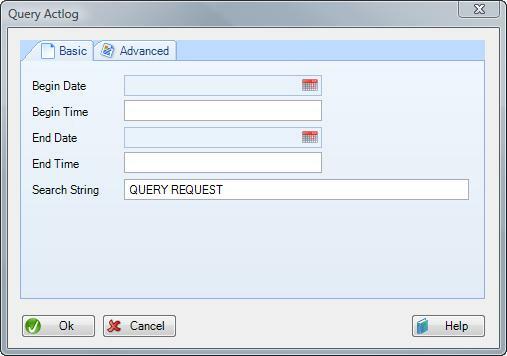 To address this issue TSM Studio 2.9.3.5 has added configuration options to set defaults and overrides for the different number systems. In the settings dialog specify the default values used for the decimal point and thousands separator. 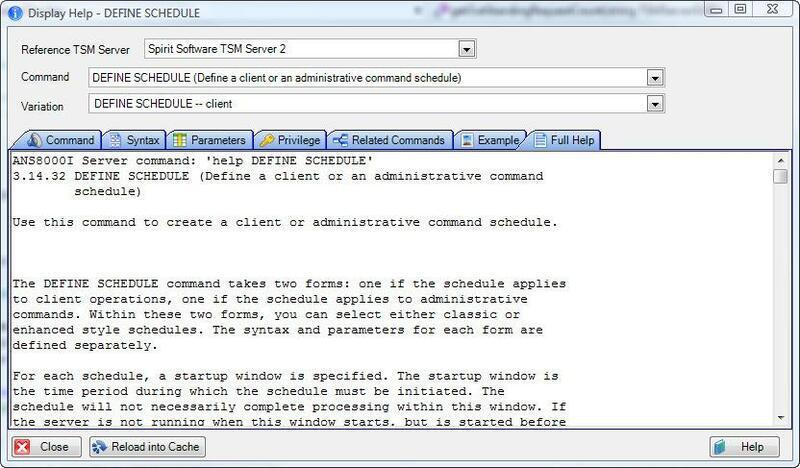 When TSM Studio 10 is installed, it is installed with a prepackaged version of IBM’s TSM Admin CLI (dsmadmc.exe). The version in 2.9.4.6 is not supported on Windows 10. 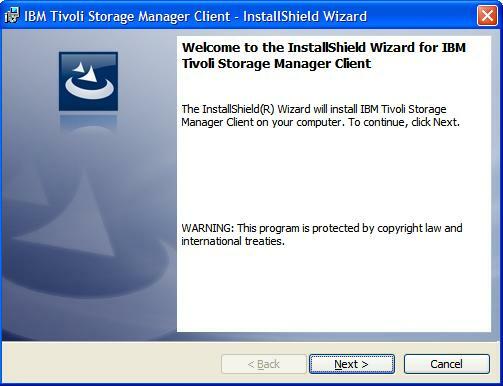 To run on Windows 10 you will need to install and use the version that is in the latest TSM Backup Client you can use the instruction in the TSM Studio Installation documentation see link below. 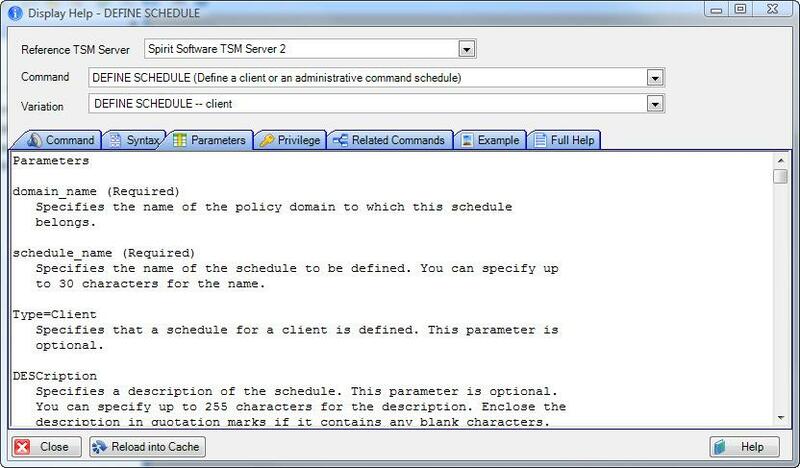 The first task to perform after installing TSM is to add your TSM Servers. There are two ways to add your servers. 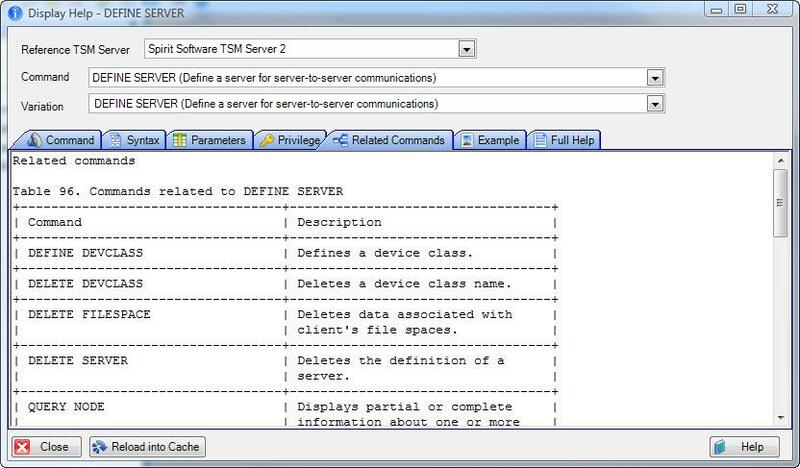 You can add each TSM Server manually or import them from the TSM Servers Dataview ( To be able to import your servers from the Servers Dataview you first must define a TSM Server manually ). 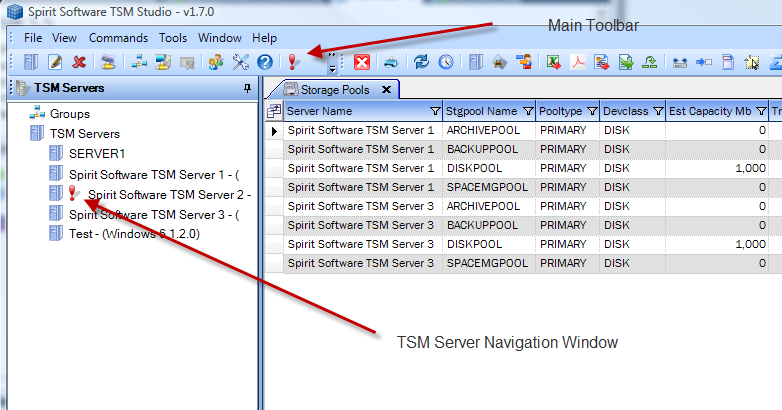 Right Click on the TSM Servers Navigation view and Select Add TSM Server. Once you have created your first TSM Server you can now import the rest of your servers from the Server Dataview. Double Click on the Servers node. With version 2.0 of TSM Studio you can make this change at the group level as well to change the settings on multiple TSM Servers in one command. 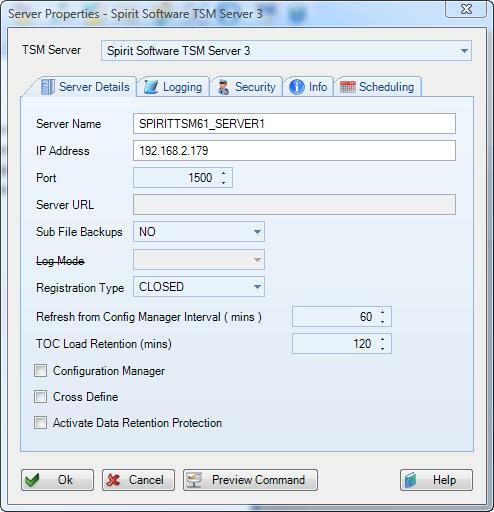 TSM Server Properties are settings that can be changed using the TSM SET command. 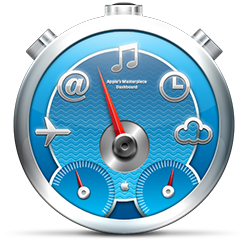 TSM provides most of these options in an easy to use tabbed interface. 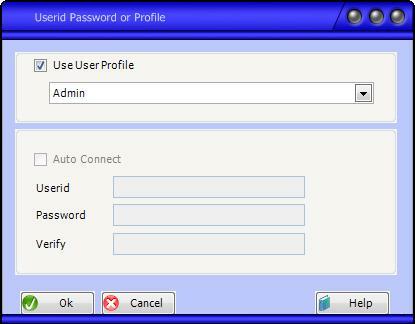 The password expiry checker is enabled by default. 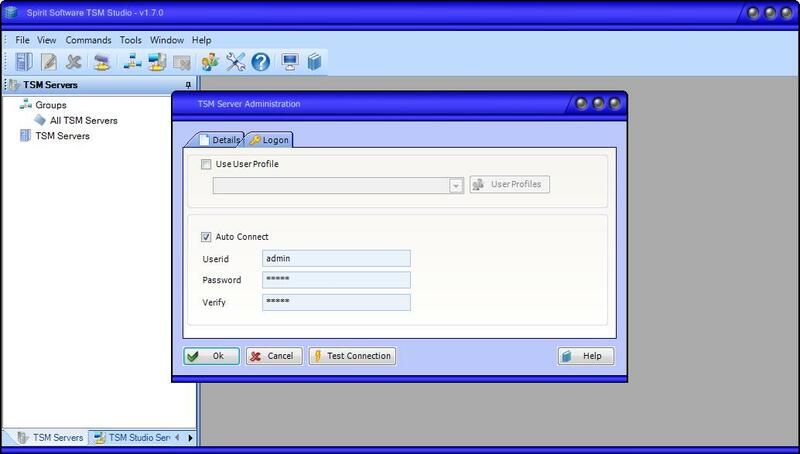 It will once a day check to see if the password for the userid’s that have been configured to connect to the TSM Servers defined in TSM Studio have expired. If they have expired a message will popup on the screen to inform you that your password is about to expire. TSM Studio makes it very easy to view the data from multiple TSM Servers in one dataview. The first step to make this happen is to create a Group. Sometimes you may find that you are running out of scratch tapes faster than you expected or you may have a large number of tapes in a filling status. 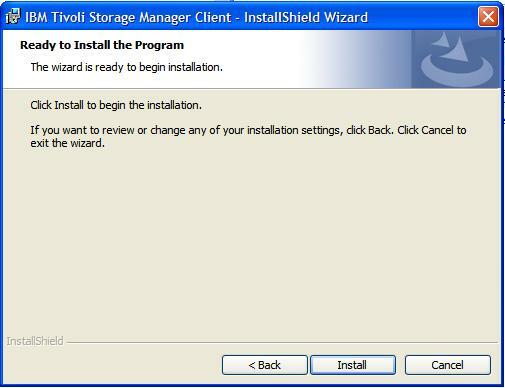 One of the causes for this is that you may have collocation enabled on your storage pools. 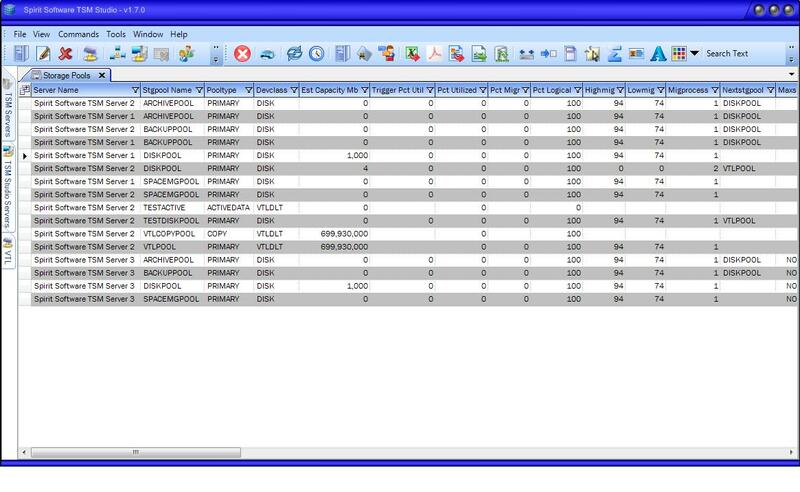 This can be checked by opening the Storage Pool Dataview and checking the COLLOCATE column. If the storage pool has a value of NO or is blank then collocation is not being used. If there is a value of GROUP, NODE or FILESPACE then it is important that you have your nodes defined in Collcation Groups. To reply to outsatnding requests from your TSM Server. 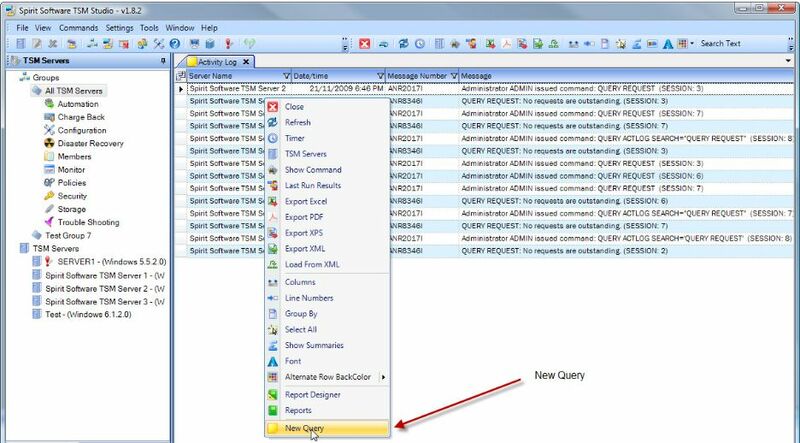 Open the Monitor Category and select by double clicking the Query Requests dataview. 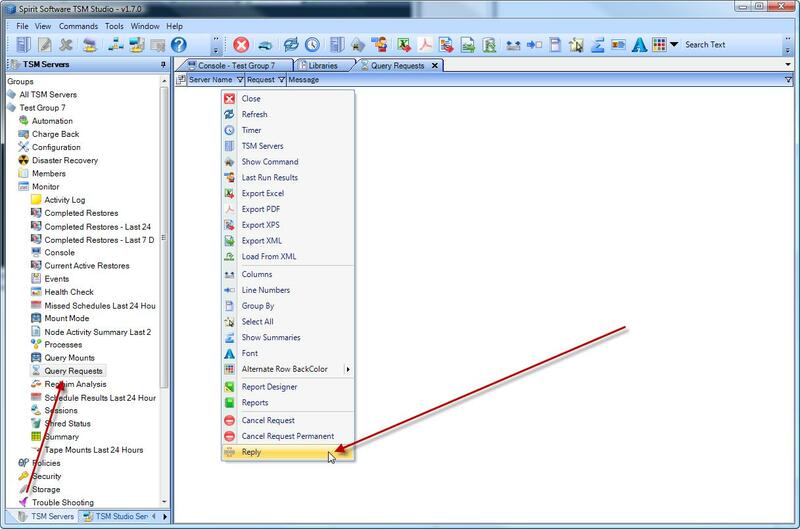 Select the Request to reply to and right click the Dataview to bring up the dataview context menu. Each TSM Server that TSM Studio connects to has its own temporary DSM.OPT created when TSM Studio starts. 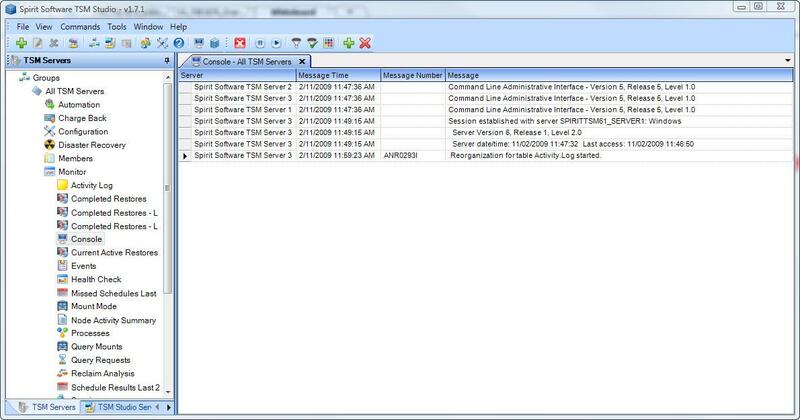 TSM Studio provides the ability to serach the Activity Log either at the TSM Server level or at the Group Level. 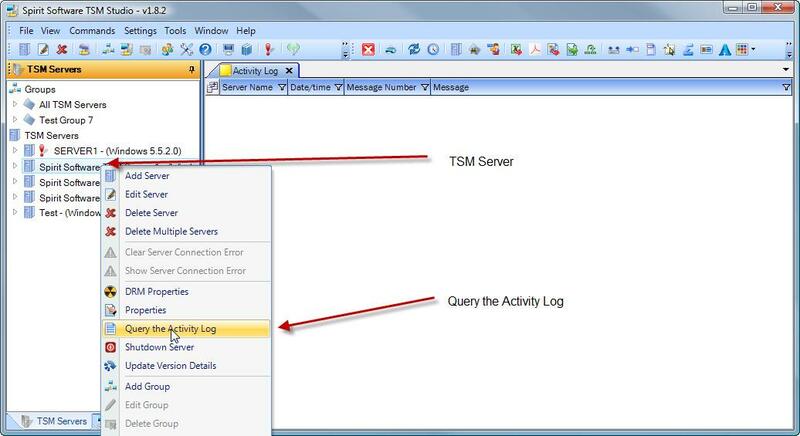 Using this feature at the Group Level is a powerful way of searching the Activity Log of Multiple TSM Server similtaneously. 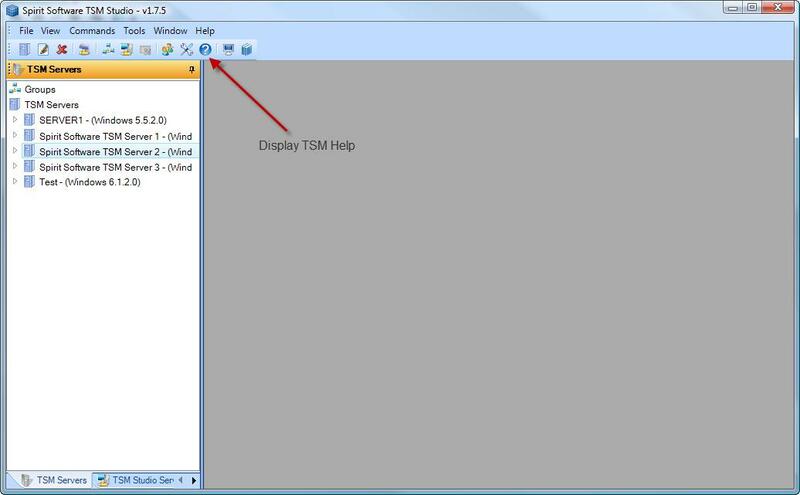 TSM provides a very powerful and easy way for you view help on TSM Commands. On the Main Toolbar there is a blue circle with a question mark in it. Press this to access the TSM Command help dialog. 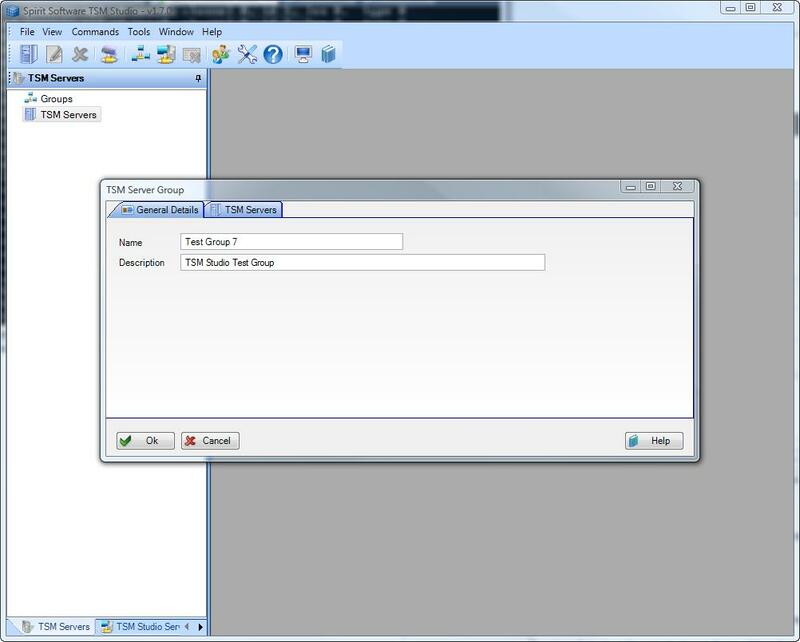 TSM Studio needs a list of commands from the TSM Server, so they first time this dialog is run TSM Studio will connect to the Reference TSM Server and download all the available commands from the TSM Server, this process only happens once and the data is stored in a local cache. Also to note that this process only get a lists of commands but not the help text. 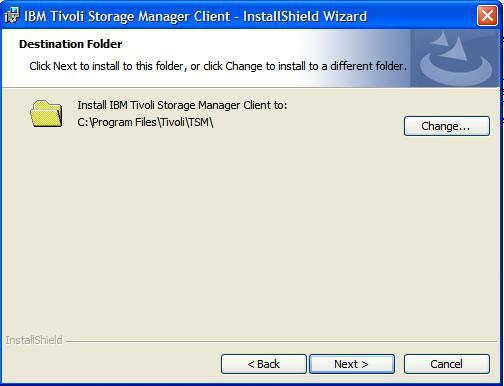 TSM Studio requires the Tivoli Storage Manager (TSM) Admin Client to be able to connect to and retrieve data from TSM Servers. To verify that the TSM Admin Command Line has been installed, go to the installation directory ( default is – C:\PROGRAM FILES\TIVOLI\TSM\BACLIENT ) and check for the existance of dsmadmc.exe. If you have any troubles installing the TSM Admin Client, shoot us an email we will be happy to help out. The TSM Studio dashboard gives a graphical display of the current status of the selected TSM Server. 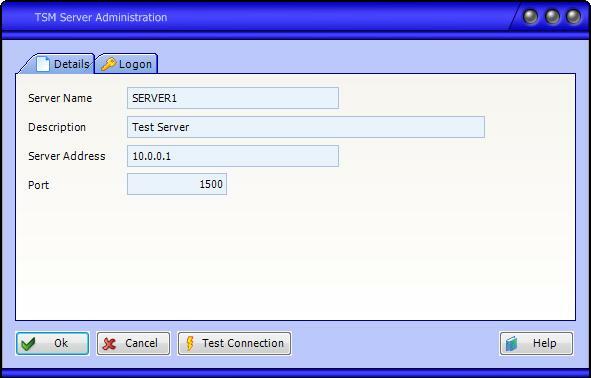 The Server Dashboard can be found under the Monitor Category and is only available under individual server not at the Group level. 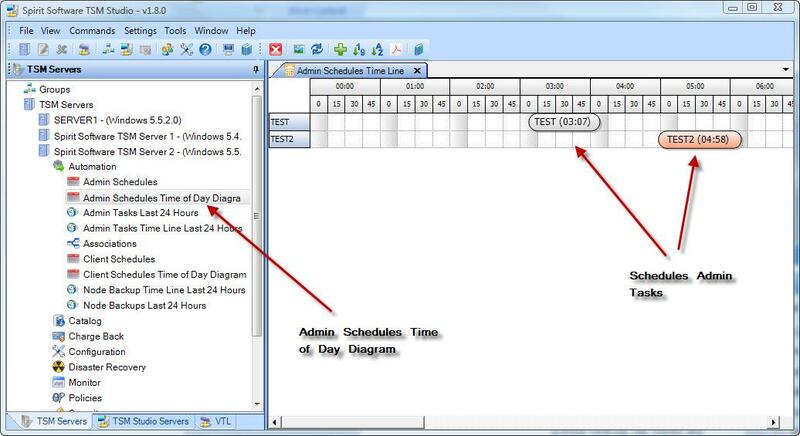 The Admin Schedule Time of Day view provides a graphical display of your Scheduled Admin jobs. You can change the start time for each job by simply dragging that task to the new start time. 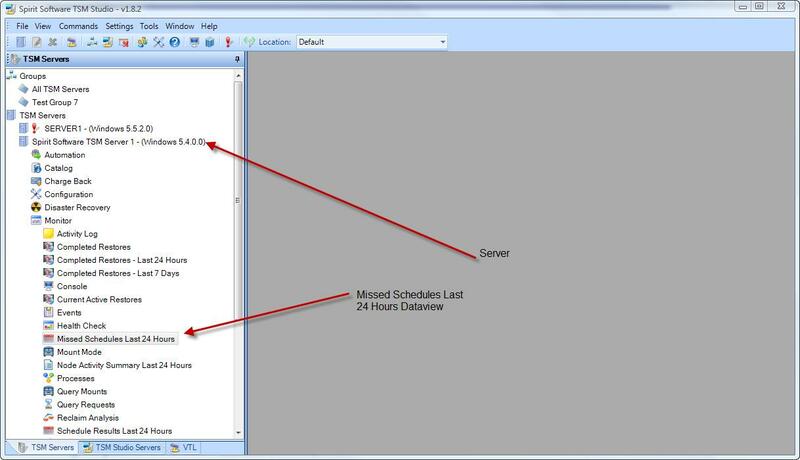 You can also Add, Edit and Delete Admin Scheduled tasks from this view. There are two dataviews relating to charge back in TSM Studio. They can be found in the Charge Back category for a Server or Group. The Locations feature in TSM Studio has been designed withe TSM Consultant in mind. 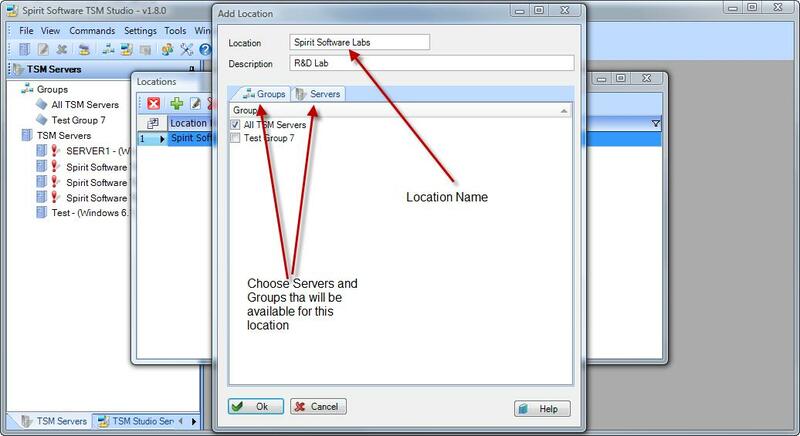 As you travel from site to site using TSM Studio you will just want to work with the TSM Servers relevant to that Location, to this end you can enable the Locations Feature and assign TSM Servers to a Location and then just view the TSM Servers for the Location you want to see. 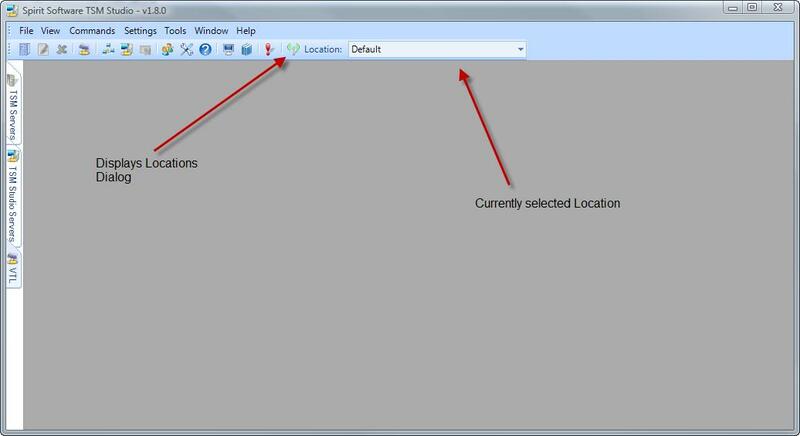 This adds a drop down box Locations and a Locations Icon to the Toolbar. By default the “Default” Location is displayed. The Default Location will show all the TSM Servers that are defined. 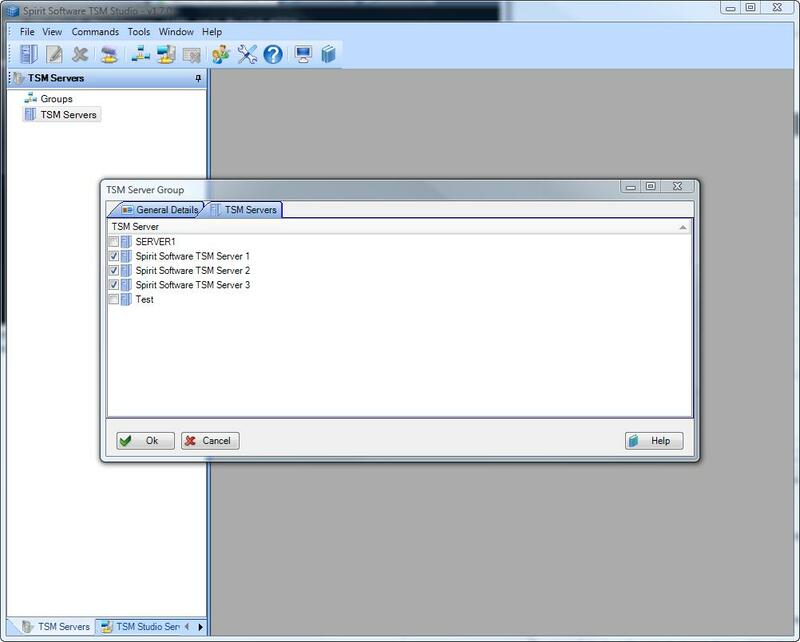 The TSM Studio console provides a way to see the console from a single or multiple TSM Servers in one window. 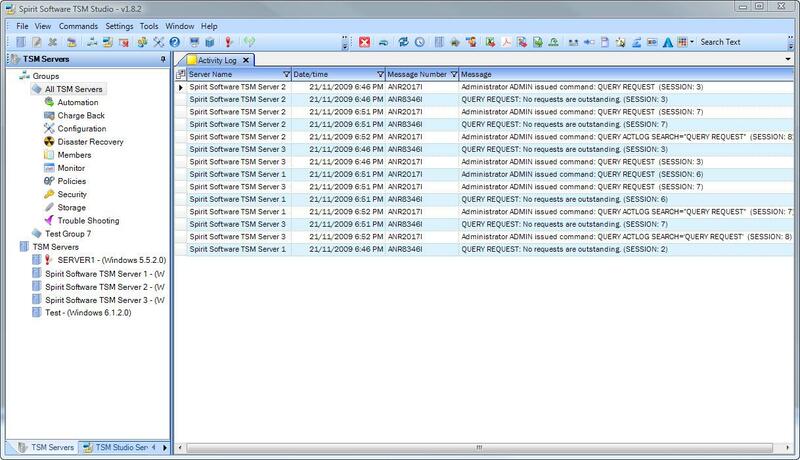 Messages can be color coded, filtered or the entire window paused so the messages can be analyzed. 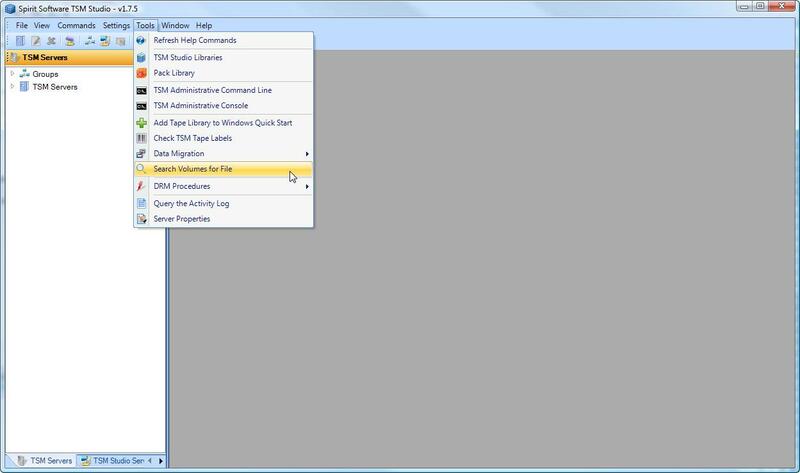 For more advanced filtering click on the Filter option from the console context menu. 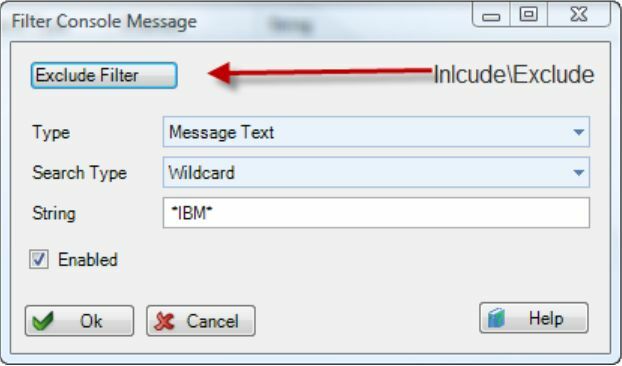 This will display the Advanced Filtering Dialog, you can choose to create Exclude Filters which will exclude they console messages that match the input pattern or create Include Filters which will include the console messages that match the input pattern. Include Filters override the Exclude Filters. Whenever TSM Studio has trouble connecting to a TSM Server a Red Exclamation Mark will appear next to the Server and in the Main Tool bar. Until the error is cleared TSM Studio will not connect to that TSM Serves, this is to ensure that if the error is password related that the userid will not get locked. 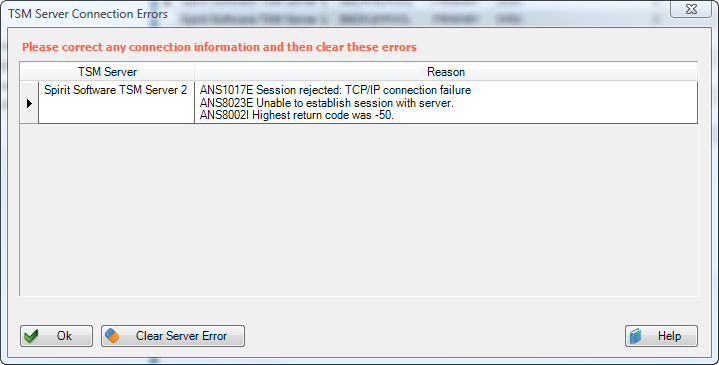 To see what the error is right click on the TSM Server in the TSM Server Navigation Window and Select Show Server Connection Error or Click in the Red Exclamation Mark in the Tool bar. To modify the columns right click on the dataview to display the dataview context menu and select columns ( or choose columns from the menu bar ). 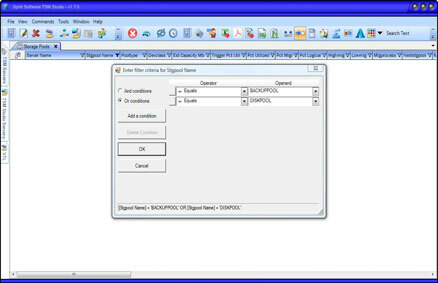 A dialog will be displayed showing a list of all the available columns and their settings. Use the up and down arrow keys on the menu to change the order the columns are displayed. 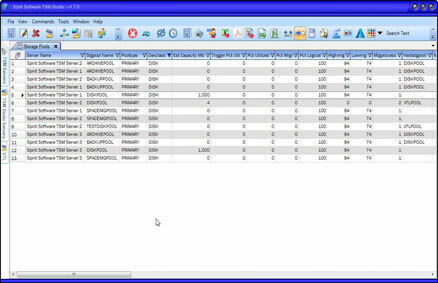 To Hide a field click on the Hidden field for the column to hide. To Change the Display text for a field click over the text in the Column Display Text field. Use the Alignment Column to select the alignment for that column. 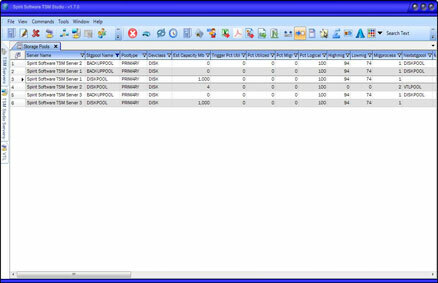 The Format field is used to the control how the column displays its data for example. N0 defines a number field with no decimal points. N2 defines a number field with 2 decimal points. G defines a date field and shows just the date. These are standard dotnet formats. 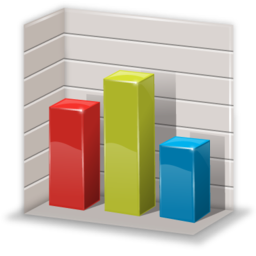 If you want to have the data displayed in a different way let us know and we will help you format the data the way you want to see it. Sometimes it is handy to be able to the see line numbers in a dataview. 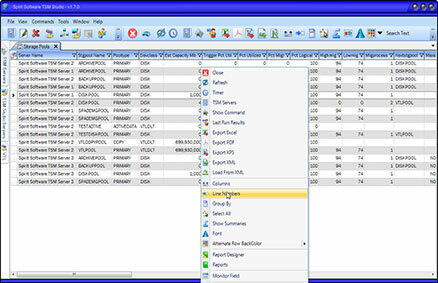 Right click on the Dataview and select the Line Numbers option from the Dataview context menu ( or from the Main Menu Bar ) to disable/ enable line numbers. 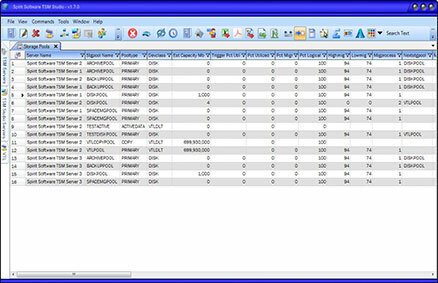 To Enable Line Numbers click on the Line Numbers option from the Dataview Context Menu. From time to time you may wish to export the data from a dataview. TSM Studio provides a number of formats that you can use to export to Excel, PDF, XPS and XML. . 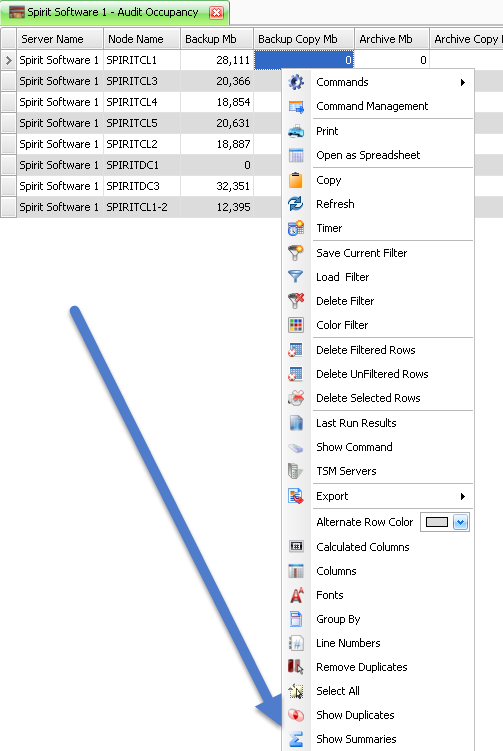 Right click on the Dataview to display the context menu for that Dataview and select from the available Export Options, then choose the ourput file name. Data exported to XML can be reloaded later using the Load from XML option on the Dataview context menu, this allows you to work offline if you wish. TSM Studio provides extremely powerful filtering capabilities. At the top of each column on the right hand side where the title is displayed you will also notice a small filter icon. Click on this icon to display the filtering dialog for that column. 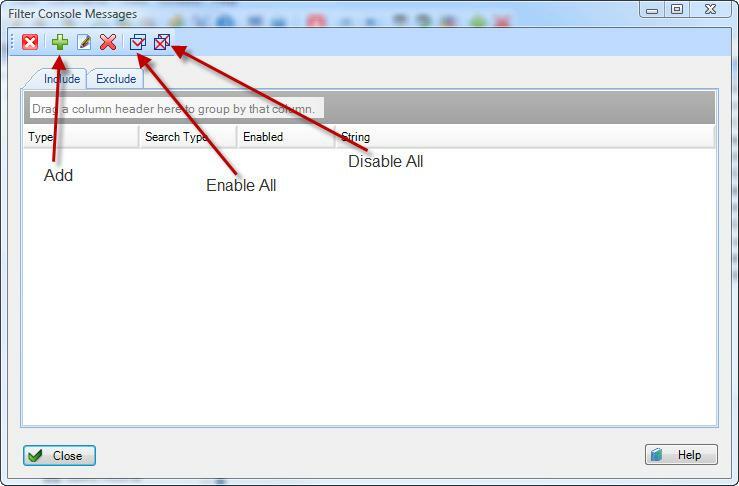 The icon is only displayed when the mouse is positioned in the column header. Show all Rows where Stgpool Name is either DISKPOOL or BACKUPPOOL. Sometimes it is useful to be able to total, sum or average a column. 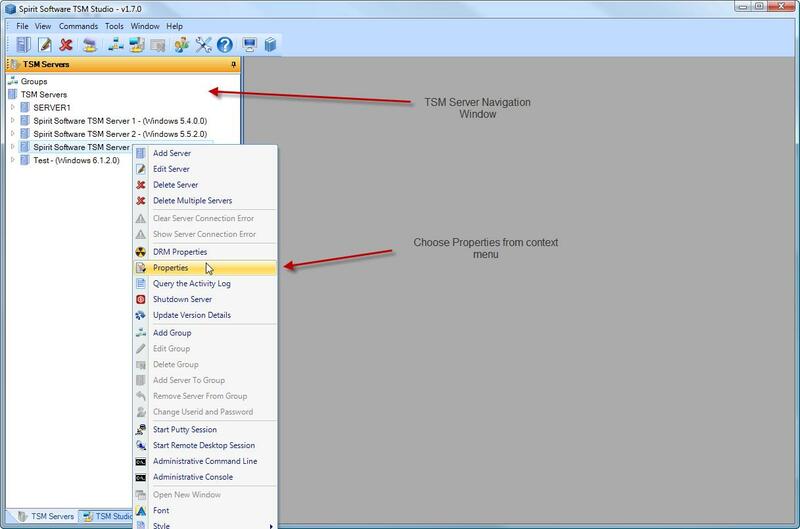 Right click on the Dataview to display the context menu and select Show Summaries. This is what the appearance of resultant dataview will look like. It can be useful to group the displayed data. Grouping can be done on a single column or multiple columns. 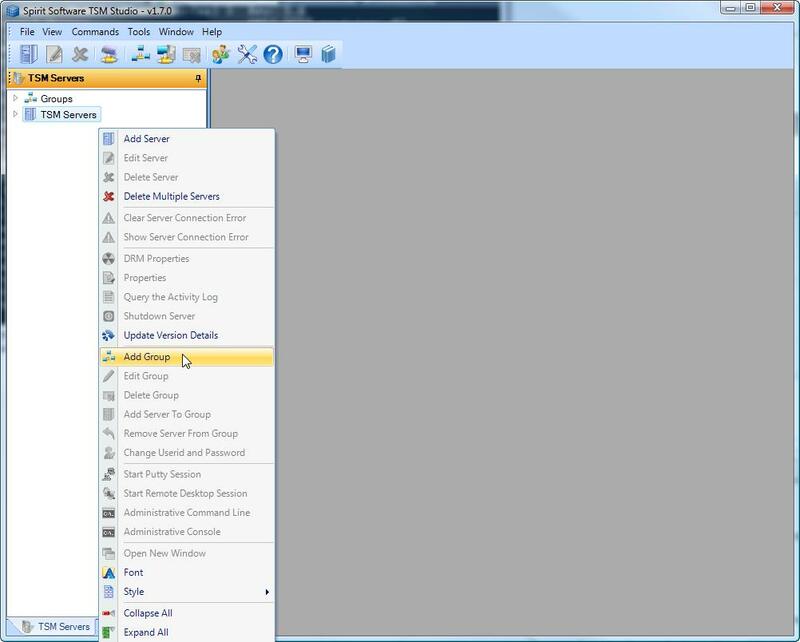 To enable grouping Right Click on the dataview to bring up the dataview context menu and select the Group By option. 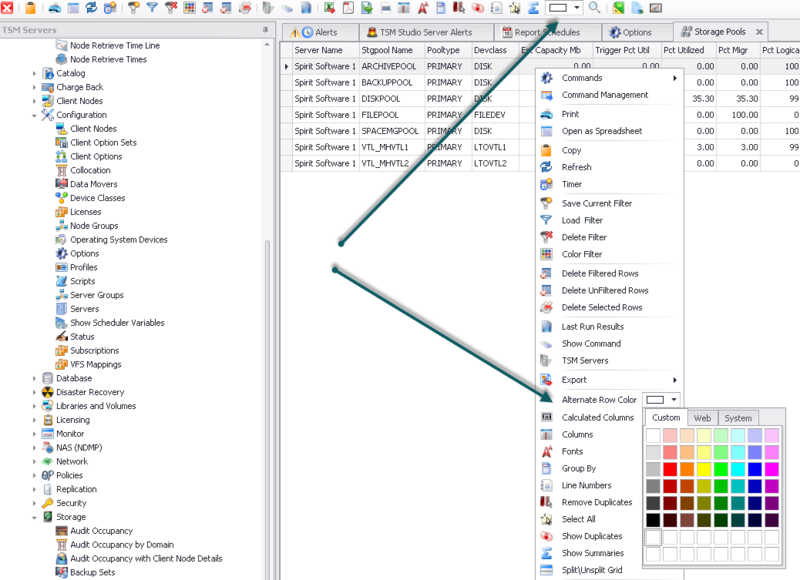 This will create a small header area at the top of the dataview. Drag the column to which you want to group by into this header. 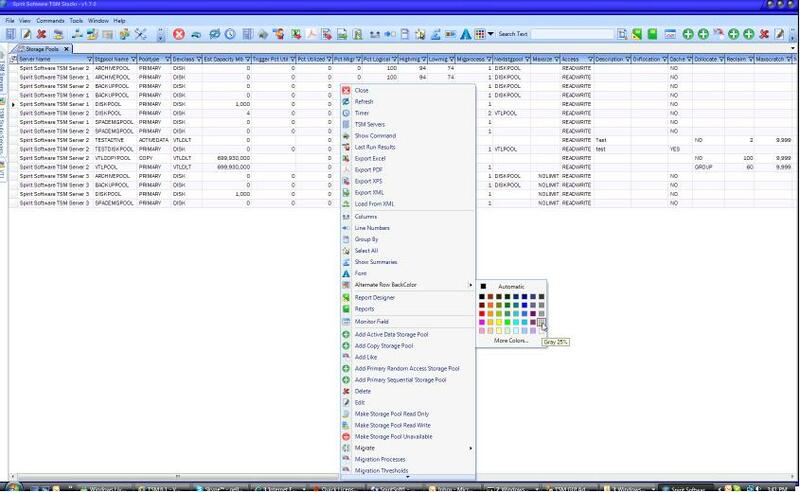 Select the Monitor Field option from the dataview context menu. The Monitor Parameter dialog will now be displayed. 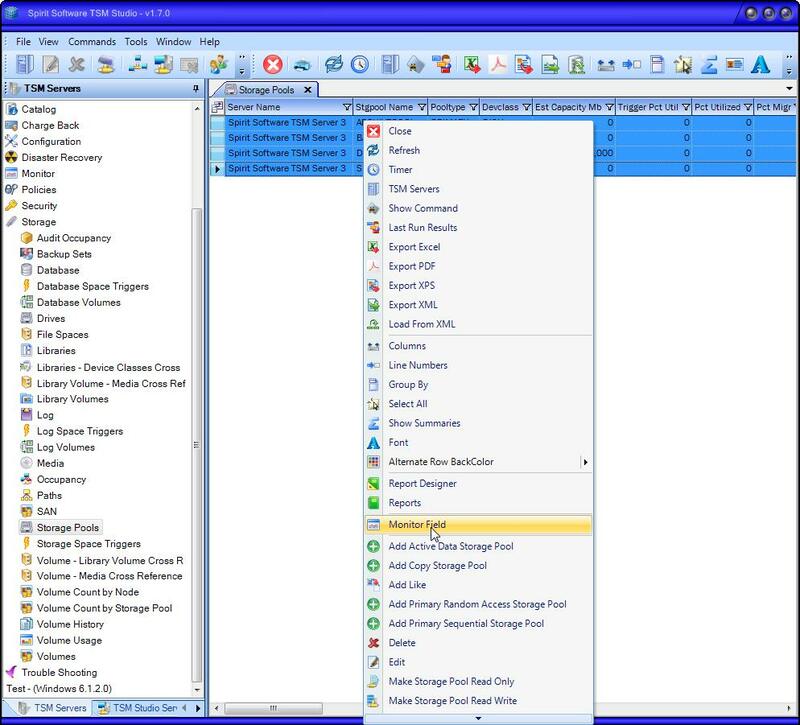 A Number of the Dataviews ( such as the Storage Pool and Database Dataviews) have an extra option in their context menu – Monitor Field. 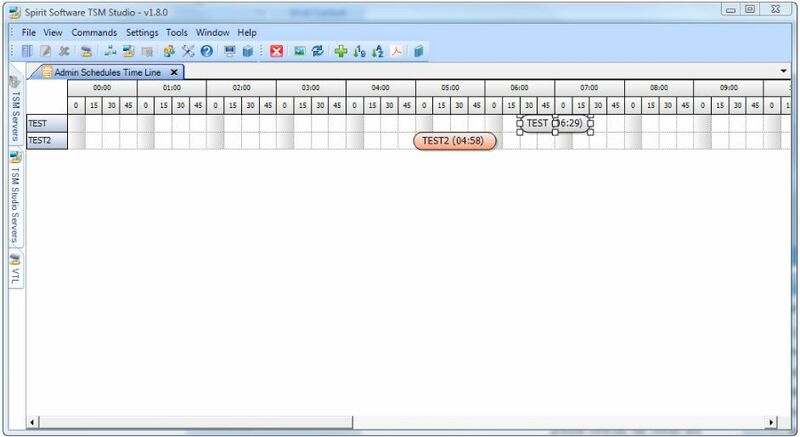 This option allows you to choose one of the numeric fields in the dataview and watch it change over time. 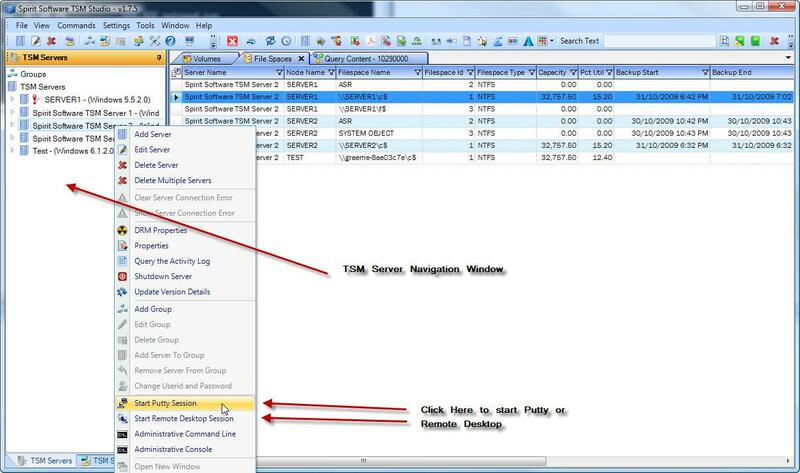 To access the realtime monitor right click on the dataview to bring up the dataview context menu. The Timer option is used to auto refresh any dataview. This can be useful when watching the running processes or attached sessions.